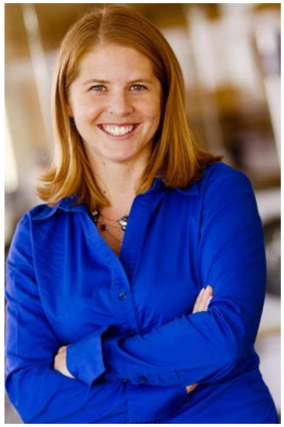 Brooke Mayer is an Assistant Professor in the Department of Civil, Construction and Environmental Engineering at Marquette University. She graduated from the Environmental Engineering program at Arizona State University with her B.S. in 2004, M.S. in 2006, and Ph.D. in 2008. Brooke’s research interests primarily relate to physicochemical water and wastewater treatment processes, with specific areas of emphasis in virus quantification and mitigation, removal/degradation of emerging chemical contaminants, and the waste-to-resource paradigm embodied by phosphorus recovery. Read Brooke’s Emerging Investigators article ‘Virus mitigation by coagulation: recent discoveries and future directions’ here. Even at this early stage in my career, I can say that my evolution as a researcher has been characterized by non-linearity. Interestingly enough, this article is the most closely related to my first publication, which focused on virus removal during enhanced coagulation. Since that time, I’ve explored and expanded my interests to include not only viruses and coagulation, but also other contaminants, e.g., disinfection byproduct precursors, as well as treatment processes such as phosphorus recovery. Aside from my growing breadth of interests, the biggest change has been my research role. I’m incredibly lucky to work with an extraordinary team of researchers, including my very talented Ph.D. student and co-author, Joe Heffron. It’s really hard for me to pick out one single most exciting thing. Students in my lab group are doing some wonderful research right now, including our work on viruses, advanced oxidation processes, and nutrient recovery. One exciting new project that we’re starting in the fall is my NSF CAREER study focused on using proteins to recover phosphorus. – What do you consider the main challenge in water quality and treatment? I believe that many technical challenges remain, but perhaps the most challenging aspects are non-technical, or at least involve better integration of technical and non-technical considerations. I think that further progress in the social and economic dimensions is essential to ensure access to safe, clean drinking water and sanitation for all. – How was your experience publishing with Environmental Science: Water Research & Technology? The experience was excellent from start to finish. ES:WR&T maintains an astonishing turn-around rate, while consistently publishing extremely interesting articles of great contemporary relevance. The reviewers and editors were very fast and thorough, and helped us to greatly improve the final article. I’ll be attending the International Water Association’s Particle Separation 2016 conference in June in Oslo, Norway, where my Ph.D. student and co-author, Joe Heffron, will be presenting a talk describing our research on virus treatment during electrocoagulation. I’ll also be presenting a poster on my new bio-based phosphorus recovery project at the Gordon Research Conference on Environmental Sciences: Water later this summer. I enjoy spending time with my family, getting out into the great outdoors, traveling, and reading “non-technical, fun” books in my free time. – If you could not be a scientist but could be anything else, what would you be? When I was little, I dreamed of being in the Olympics. But since I’m fairly “vertically challenged”, I think that I would be a teacher, following in my parents’ footsteps. Fortunately, I have the great opportunity to both teach and do research in my job! Believe in yourself and don’t be afraid to try new things! You’ll undoubtedly be told that you can’t do something or you’re just not the right fit, but you never know until you try – and the learning process doesn’t hinge on successes alone. If you’re open to new opportunities and you build a positive support system of mentors, colleagues and friends, there are no limits.